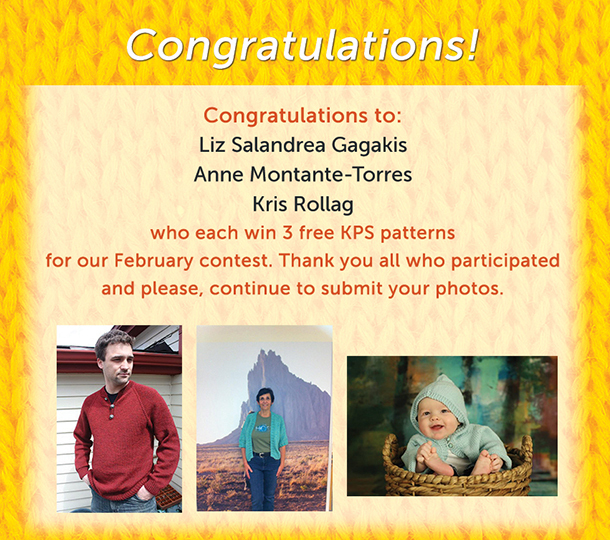 who each win 3 free KPS patterns for our February contest for the most likes through the submission period. (Winners, please message our Facebook page with your email address OR contact us at:http://knittingpureandsimple.com/contact/contact-and-follow/). Thank you all who participated and please, continue to submit your photos.